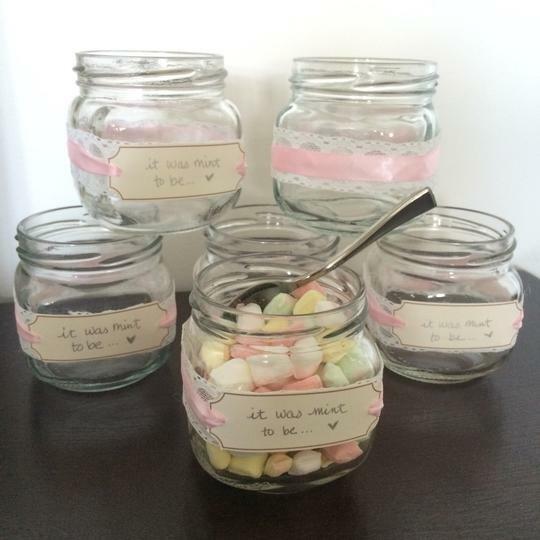 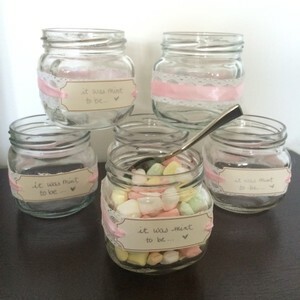 Small jars collected and crafted for mints. 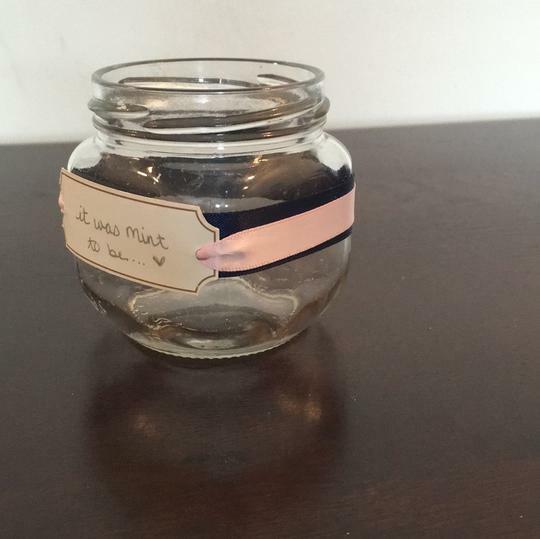 Light pink and lace, as well as navy blue and lace ribbon, various counts of each, 32 jars total. 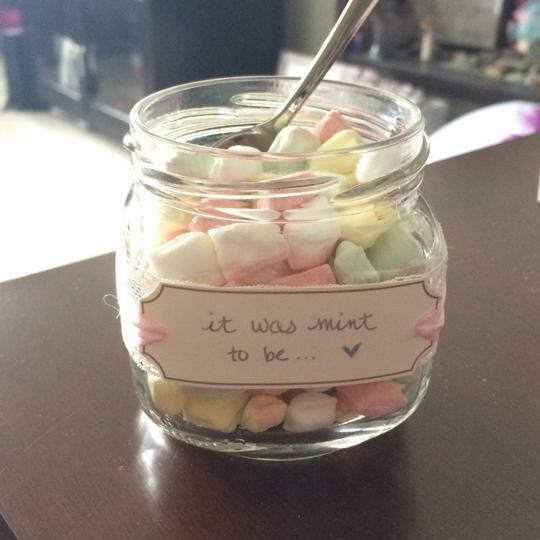 Tag says: "it was mint to be"